You can see more numbers here! WellStar Health System, the largest health system in Georgia, is known nationally for its innovative care models, focused on improving quality and access to healthcare. Staying ahead of the curve in technology has enabled WellStar to be leaders in both the diagnosis and treatment of an extensive array of health conditions. WellStar is recognized nationally as an Employer of Choice and is featured on FORTUNE 100 Best Companies to Work For® list and Work Mother Magazine’s Best Companies list. Our 23,000 team member workforce includes 853 team members who live in Cherokee County, 157 team members who work in Cherokee, and 100 to 125 additional team members will be added once the WellStar Cherokee Health Park at Holly Springs opens in September 2019. The YANMAR EVO//Center, a state-of-the-art training and customer experience facility, is a great example of an international brand seeking an engaged local presence. 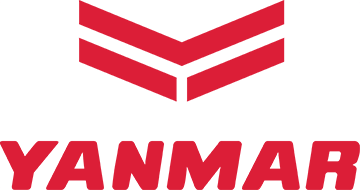 With a passion for environmental sustainability and education, YANMAR’s EVO//Center is well-positioned to expand its global reach and make an impact in and around Cherokee County. From kid to CEO, Cherokee County has something for everyone. Due to its premier environment for economic growth, lush outdoors, expanding culinary options, entertainment, and recreational retreats, refreshing energy just comes with the territory. As the fastest growing county in metro Atlanta, Cherokee is home to the cities of Ball Ground, Canton, Holly Springs, Nelson, Mountain Park, Waleska, and Woodstock. Chaired by Steve Holcomb and made up of representatives from each municipality as well as two at large members, the Cherokee County Development Authority (CCDA) was created to promote and expand industry and trade within Cherokee County and improve employment opportunities. The CCSA works in tandem with the Development Authority of Cherokee County to empower economic opportunity within the county. Energy is power. As the largest subsidiary of the Southern Company, Georgia Power provides affordable, reliable electric power to over 2.5 million customers every day. In addition to its commitment to environmental sustainability, Georgia Power is a leading advocate for bringing new jobs and capital investment to Georgia as well as Cherokee County. Boeing. Airbus. Gulfstream. These are just a few of the major aerospace manufacturers who place their trust in Universal Alloy Corporation (UAC). Headquartered in Canton with another state-of-the-art, 120,000 square foot facility in Ball Ground, UAC crafts aerospace products designed and engineered to meet the exact specifications of aircraft manufacturers from across the globe. The Cherokee County Water and Sewer Authority (CCWSA) provides safe, reliable drinking water to over 140,000 Cherokee County residents daily. Under the leadership of the CCWSA, Cherokee County is recognized for having the region’s best tasting tap water – an attractive feature that inspired companies like Reformation Brewery to call Cherokee home. Reliable, safe electricity. Cobb EMC is a not-for-profit, member-owned electric cooperative who is heavily invested in the local community. Cobb EMC is consistently recognized for its competitive rates and commitment to renewable energy. The cooperative is one of the largest EMCs in the nation, and the company’s wholly-owned subsidiary Gas South is a leading provider of natural gas in the Southeast. Northside Hospital Cherokee, where state-of-the-art meets quality health care. Recipient of the 2017 “Hospital of the Year” award from the Georgia Alliance of Community Hospitals, Northside Cherokee is a full-service community hospital with approximately 869 physicians and 2,145 employees. Black Airplane is a digital agency that creates apps and websites that help businesses grow. Black Airplane’s managing partner David Leggett, along with his best friend and business partner State Rep. Michael Caldwell, started as the founding coworking members of The Circuit Woodstock in May 2017 and have since grown their company in both revenue and culture. The company’s new downtown Woodstock Headquarters is filled with vintage Delta memorabilia like airplane seats, fuselages, and aisle drink carts. Check out all of our investors. Cherokee by Choice. Join the movement.